In a small bowl combine and whisk together lemon juice, balsamic vinegar and extra virgin olive oil and set aside. In a large bowl combine and mix kale, cherry tomatoes, mango, and add dressing (mix well). 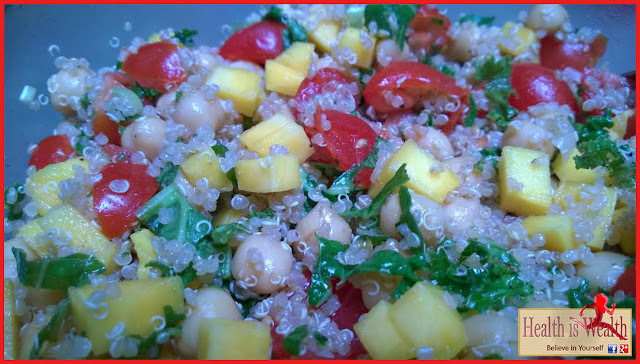 Add quinoa, chickpeas and mix into salad. Top salad with feta cheese, toasted almonds and avocado. Enjoy!